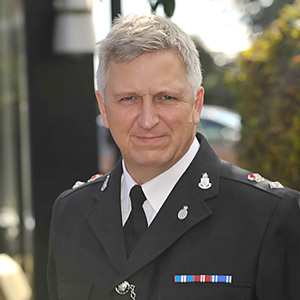 Gavin Thomas is the current President of the Police Superintendents Association England and Wales (PSAEW), a position he has held since March 2016. Prior to this he had served as Vice President of the PSAEW for three years. Before becoming a full time national officer for the PSAEW he had served in Gloucestershire Constabulary for all of his career, serving as a senior member of the command team in a number of roles from Area Commander for the Cotswolds and South Gloucestershire, Professional Standards and as Head of Crime and Protective Services for Gloucestershire. Gavin has served most of his career as a Detective, apart from a period in 2006 when he attended and graduated from the FBI Academy, Quantico, Virginia. “This great service is formed of people who will protect us and keep us safe, whose bravery and commitment mean they will run towards danger, and who are prepared to make the ultimate sacrifice in the line of duty.